This week is the coolest auto show of the year. The show that will spawn bedroom-poster fantasy cars for years to come. It’s not about mass-market, business-floating people’s cars. It’s about luxury cars and exotics. Supercars and hypercars. The stuff dreams are made of. It’s the Geneva Motor Show, and the coolest cars always debut there. We’ve picked a few of the most notable examples from this year. So far. Aston Martin’s unbelievable hypercar has a name, and it’s a pretty awesome one. The Valkyrie promises to take the current crop of deifically-priced hypercars to task, and is undoubtedly the most ambitious car Aston has ever built. They’re building it in partnership with Red Bull, so expect all manner of F1 tech to have infiltrated its beautiful, carbon fiber hide. You can see through it! Lamborghini, who once built cars out of passion and chewing gum, and who may or may not have just broken the Nurburgring production car lap record, has made some improvements to their “entry-level” supercar, the Huracan. Most notable among them is the very geeky active aero system, which, as we understand it, channels air through the rear wing independently on the left and right sides, improving downforce in the corners on just one side or the other, or both when needed. After all these years, we’re finally getting the Honda Civic Type R in America. It will send 306 hp to the front wheels. We’re waiting for the road tests to see how well it crosses over from excess to function. Obviously the bodywork is bonkers, though it does somewhat distract from the Civic’s everyday ungainly lines. For some reason, they’ve chosen a 5-door to receive all this muscle. This will also be one of the only turbocharged cars Honda has ever built. Honda swears up and down that they’ve engineered the suspension to deal with the torque steer that will be sure to put many of these into track walls and light poles. This is notable for its creased styling update from the previous generation. Ever so slowly, Audi inches closer to that extremely hot Quattro Concept from several years ago. Go hatch, Audi. Do it. It’s called the 720S, but it only has 710 hp. We’ll forgive that, since it can get to 60 in 2.8 seconds. It’s the very first car to feature McLaren’s all new 4.0 twin turbo V8, which has an 8,500 RPM redline. The public seems to love the look of the thing, but in the opinion of the author, it’s a bit too…biological. A little organic. Like some kind of genetically engineered chimera you climb inside and drive. Gross. But we’ll forgive that, too, since the shape is functional, and there are all kinds of neat little aero channels that preclude the need for a drag-inducing rear wing. We can drive creatures. That’s fine. We’ve seen Dutch carmaker Spyker’s lone current car, the Preliator, before, with all its exquisite shiny trimwork, but just announced this week, it will pack a Koenigsegg V8. Unlike the cars from the other side of Denmark, though, the Spyker’s K-segg V8 will be paired to a manual transmission. 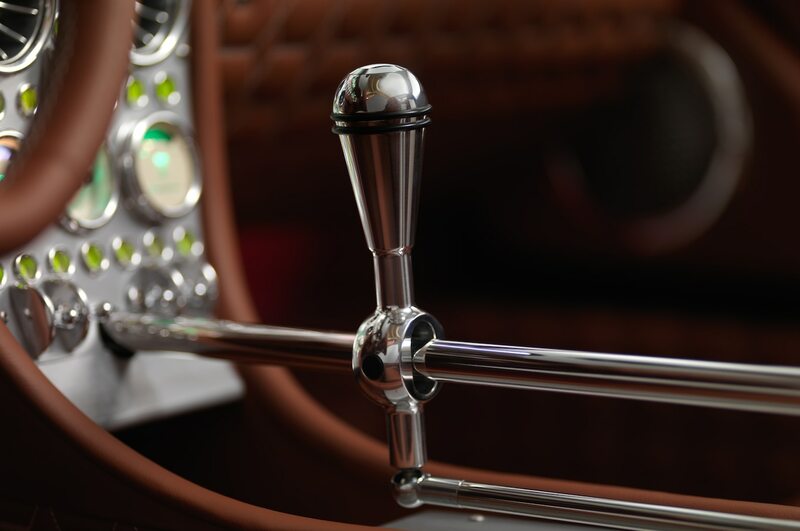 And you know how Spyker does manual transmissions. This might be the crown jewel of the whole show. It takes some explaining. This is not a Porsche 911. This story starts in the ’70s, when Ruf, a German bus manufacturer, began tuning 911s. They were soon modifying Porsche’s famous sports car so heavily that it could no longer be legally considered a Porsche, and was badged as a Ruf. The Ruf “Yellowbird” CTR became the fastest production car in the world in 1987, clocking in at 213 mph. They’ve kept up with modern Porsches ever since, but this latest car is built from the ground up. And it looks just like the Yellowbird. Which means it looks like a Porsche 930 911. It’s made completely of carbon fiber and the twin turbo 3.6 puts out 700 hp. The 650 lb-ft of torque is all available at something like 2700 RPM. It has a 3.5 second 0-60 time and can reach 225 mph. And it looks like a 930! Get yours for about $800,000. That’s all the Geneva news that is news. What’s your favorite thing out of Switzerland this week?